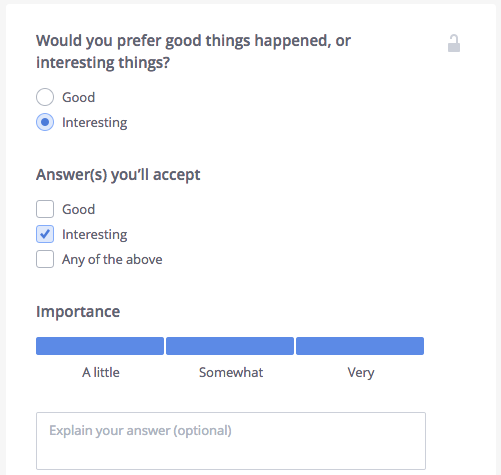 Would you prefer good things happened or interesting things? It was a seemingly simple enough question, yet I spent more than 15 minutes trying to decide what my answer would be. In retrospect, I realize now that the question highlights my underlying motivation to travel. First and foremost, to understand why I’m leaving my life to travel you have to understand something about my personality – I hate doing things half-assed. I’m a firm believer that anything worth doing is worth doing right and I try to live by the somewhat cliché motto of “work hard, play hard.” This was especially prevalent in college. If I wasn’t working on a class, I was out making the most of life; either way, I spent very little of my time lounging. This trait, consequently, makes drinking with friends particularly dangerous for me. Like all business students, this was my idol. Time was money for me... and I had neither. My perspective changed abruptly during the fall of my junior year when I studied abroad in Milan, Italy. It was the first time I ever left the US and I had absolutely no idea what to expect, but I knew it was something I had to do. My semester abroad was an amazing experience which fundamentally changed my view of the world and my goals in life. The person that got on that plane back in August of 2009 was not the same one that returned. I realized a number of things while on the trip, chief among them, the fact that college was nothing more than a stamp of approval for prospective companies. My degree only served to indicate that I was employable and not a complete idiot. Further, I realized that much of what I had learned would be of little use to me once joined the workforce and would instead become fun facts that had no bearing on whether I succeeded or failed. It was a disheartening realization, but at least I could see through the illusion. When I returned, I no longer had a direction in life and I began coasting through school (to this day, I have no idea what my grades were the last three semesters of college). The lack of direction didn't sit well with me, and while I had plenty of friends and alcohol to keep me distracted, I knew something was wrong. Through a miraculous series of events, I managed to land a job in Manhattan after college. Bewildered, I thought life was on the up and up... until I started actually working. While I loved NYC, I can’t say the same about working the long, stressful consulting hours. Initially I thought it was simply a reaction to entering the preverbal “working world,” and that I was just whining because I didn’t want to work the long hours. But even after a year working things had not changed. I still was madly in love with the city, but I had lost interest in work and the ridged routine of life was getting to me. Although I was able to live in NYC, I realized that I spent at least 71% of each week confined to an office cubicle just waiting for the weekend. I had eliminated all risk in my life - all of it. I had no doubt that I could pay my rent, eat out on the weekends, take random trips, pay off student loans, etc. Even if my project ended at work, I would get to spend a few days on the “bench” where I was effectively paid to sit on couch while I found a new project. Look familiar? Just another day at the office. And so my problem was? ...and that relentless urge to travel that I picked up years ago in Milan was still there. My choice was clear, I'll take the interesting path. I realize now that simply having good things happen to me is not sufficient to live a fulfilling and happy in life. It’s the variation that makes life so exciting. If only good things happen to you - they cease to be good. Instead, I have come to appreciate the “bad” things in life because without them I have no concept of what a "good" thing is. So, if I had to chose, I’ll take the interesting route. I want a story, I want an adventure, and I’m willing to endure the terrible days that will inevitably befall me during my travels, because I know that it is the only way that I can fully appreciate the feeling of being on top of the world. So whether it’s good or bad I don’t care... just make it interesting.